Do You Want More Patients? Will you accept referrals of pre-school and school age children? By providing a “Dental Home” for these children, you can provide the care they deserve and grow your practice. Who are we? 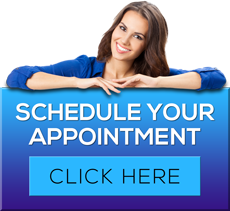 Michigan Dental Outreach P.C. (“Michigan Dental Outreach”) is an innovative, on-site, school based, dental outreach provider. Our mission is to bring state of the art, dental care to those students in need in the most comfortable and effective way possible. Is there any charge? There is no charge for referrals, or for obtaining patient records and X-rays. How can I get copies of patient’s records? Just have the parent or guardian complete the enclosed Parental Records Release Form and fax it to 888-373-9612 or e-mail it to xrays@mobiledentist.com. If your practice has the capability to accept digital file transfers, we will e-mail your practice the records. If not, we will mail a hard copy of the record. How do I get added to your referral list? Just sign the enclosed form and fax it to 888-373-9612 or mail it to us in the enclosed envelope. We review our Dental Home referral list on an annual basis. Whom should I contact if I have questions? If you have any questions please contact Judy at 888.833.8441 ext.60102 or judy@mobiledentists.com.